Take this quiz and answer 5 simple questions to find out how healthy is your daily skin-care-routine! Mostly A’s: You need to make a little time to treat your skin right! A healthy skin care routine doesn’t have to take hours. Start including a few basics in your everyday beauty routine. Drink lots of water to hydrate your skin. It is important to follow a perfectly healthy skin care routine that works with your schedule. And, believe me, it isn’t a task! Mostly B’s: You maintain a healthy and balanced skin care regime, but it doesn’t control your life. That’s a good news! Mostly C’s: It’s awesome to know how you look after your skin. But you go to extremes! Don’t have to. Really.. Just a gentle face massage, eye cream and a night cream does the trick before you hit the bed. Astringent and toner can be your weekly treats. Don’t freak your skin out SO much. 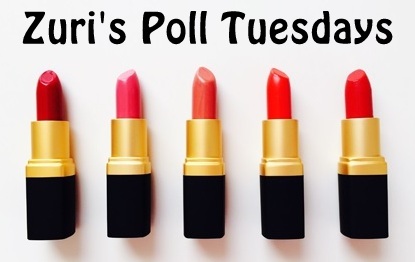 Poll Tuesday #94 – Beauty conscious you!